The ten plagues of Egypt not only weakened the most powerful nation on earth at the time, but also undermined faith and belief in the pantheon of Egyptian gods. With his gods humiliated, mighty Pharaoh finally relented, and the exodus of the children of Israel began. The ten plagues the Egyptians suffered before the Israelites were free to leave Egypt were a confrontation between the true God, Yahweh, and the false gods of that land. 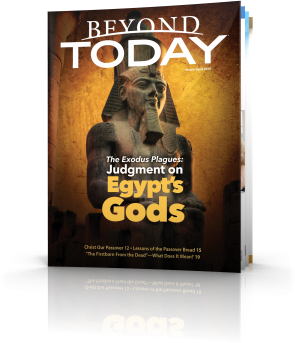 God wanted to remove any doubt the Israelites might have, after years of slavery, as to who the true God was and to discourage worship of the supposedly powerful Egyptian gods. The plagues represented, collectively, a dramatic demonstration to Israelites and Egyptians alike that the gods of Egypt were false. They were powerless to come to the aid of anyone who implored them. The first plague was aimed at the most valuable resource of Egyptian civilization, the Nile River, and the gods the Egyptians associated with it - the Nile goddess Hapi and the powerful Osiris, protector of the Nile. All the fish died and this affected the food supply. The second plague of frogs was also connected with Nile and the god Heqt. Only when Moses and Aaron prayed to the true God were the waters refreshed. The third and fourth plagues of lice and flies featured another favourite god of the Egyptians, Kheper, the scarab deity. With the onset of the plague of flies the magicians of Egypt were no longer able to deceive Pharoah by pretending to duplicate the miracles of God. God also intervened and did not allow the flies to afflict the area of Goshen, where the Israelites lived. This was a powerful witness to the Egyptians that the Israelites were under the protection of the true God. The next plague affected cattle, which the Egyptians considered to be under the control of Apis, the bull god, and Hathor, the cow-like mother goddess. The plague of boils, which followed the murrain on the cattle, demonstrated the Egyptian gods of medicine, Imhotep, and Thoth, the god of magic and healing were ineffective against the power of Yahweh, who continued to protect the Israelites from these plagues. 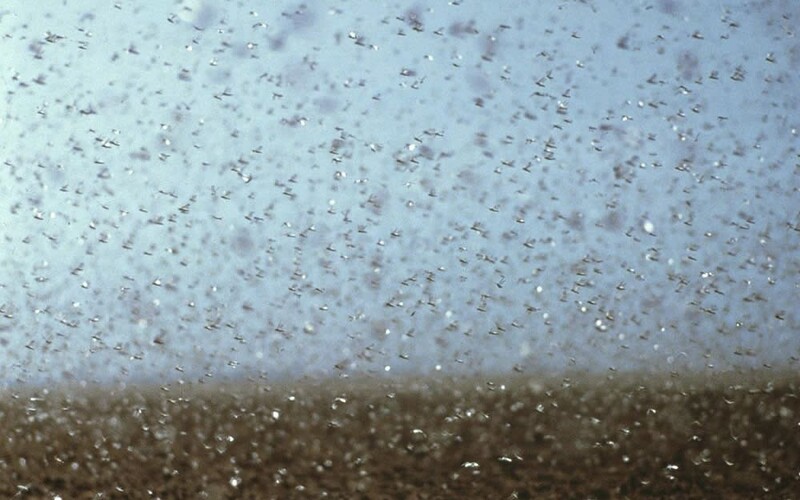 The seventh and eighth plagues of fiery hail and locusts struck Egypt’s crops. The crops were supposed to be guarded by Seth, the harvest god, and it was up to Nut, the sky goddess, to prevent weather disasters. The ninth plague of darkness for three days was directed at Ra, the chief god, represented by the sun. Again, the children of Israel had light in their dwellings, while the rest of Egypt languished in supernatural darkness. (Exodus 10:22-23). The Pharaoh was also considered a god, descended from the god Ra, and the tenth plague humbled him by striking down all the firstborn of Egypt, including his son, the heir to the throne of Egypt. Grief stricken, humiliated and with his faith in the Egyptian gods undermined Pharoah agreed to let the Israelites go. Click here to read the entire article with more information.